In addition to its excellent durability, ULTIMAAX® delivers enhanced stability, handling and ride quality even in the most severe-duty environments where vehicles encounter harsh and unexpected ground conditions. The integration of Hendrickson's proven walking (equalizing) beam technology, with its patented progressive rate spring, provides a balance of loaded stability and unloaded ride quality even in the most rugged environments. 1. 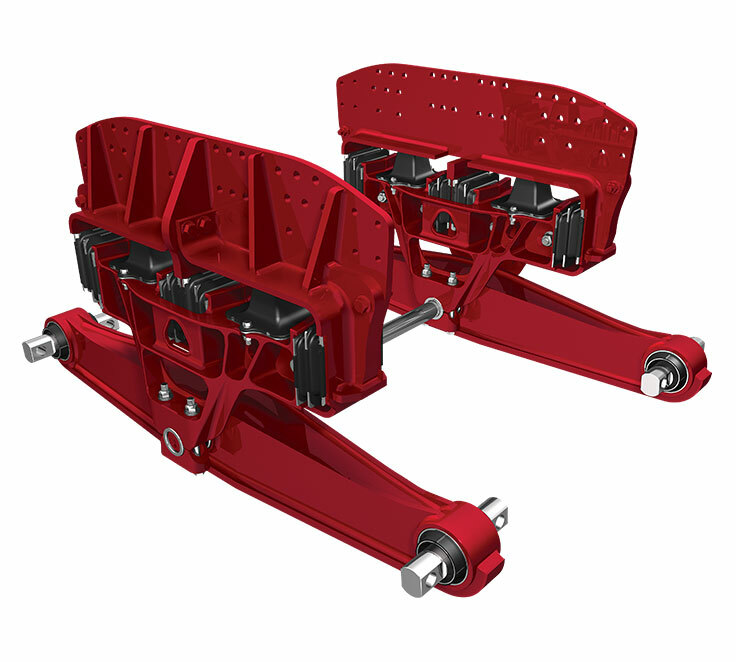 Suspension articulation may exceed vehicle’s capability and may be limited by vehicle manufacturer; vehicle manufacturer installed axle stops may restrict suspension’s articulation. 2. Contact THSL for availability of additional beam lengths. For additional details regarding specifications, applications, capacities, operating service and maintenance instructions, refer to applicable THSL technical literature. Actual product performance may vary depending upon vehicle configuration, operation, service and other factors. U.S. and foreign patents granted and / or pending.